Please check out our new collaboration with BeoCat for state of the art exhaust gas NOx reduction catalysts! Complex systems needs a simple interface. The ViewPort system does just that. Each object in the mimic has its own dialog box where the user can set the parameters. 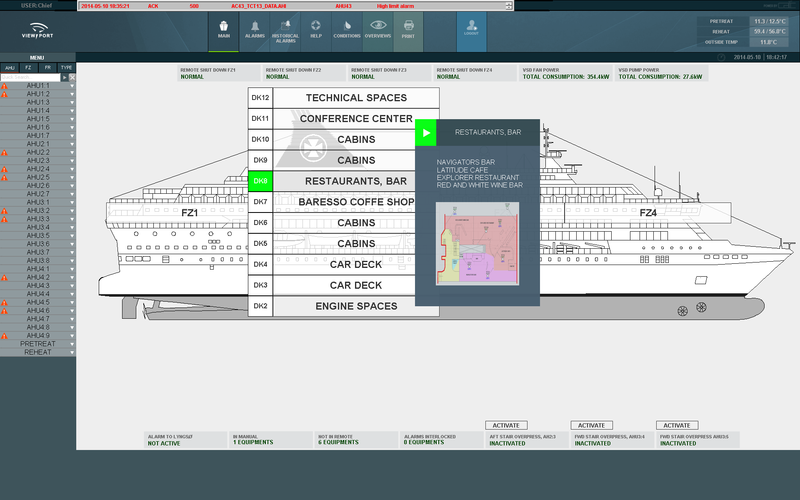 The internal database helps the user to quickly find the unit serving and individual room or cabin. Electric drawings and functional descriptions are available from the menu. Backup/restore of PLCs is included. 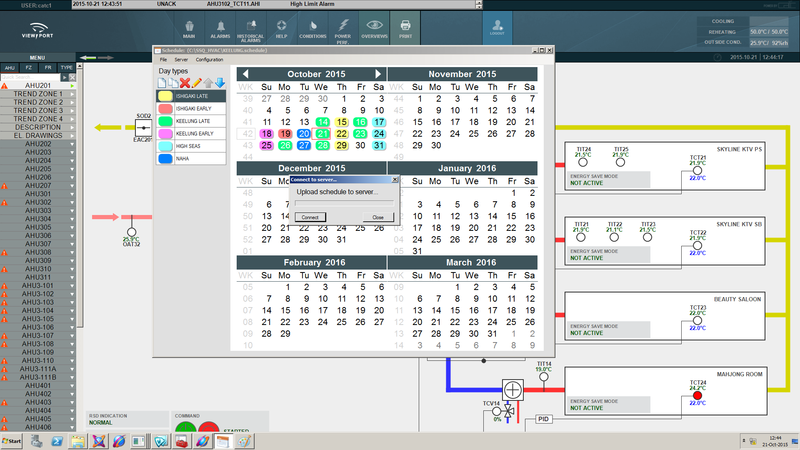 System is expandable with more user stations via the web browser of any local PC. 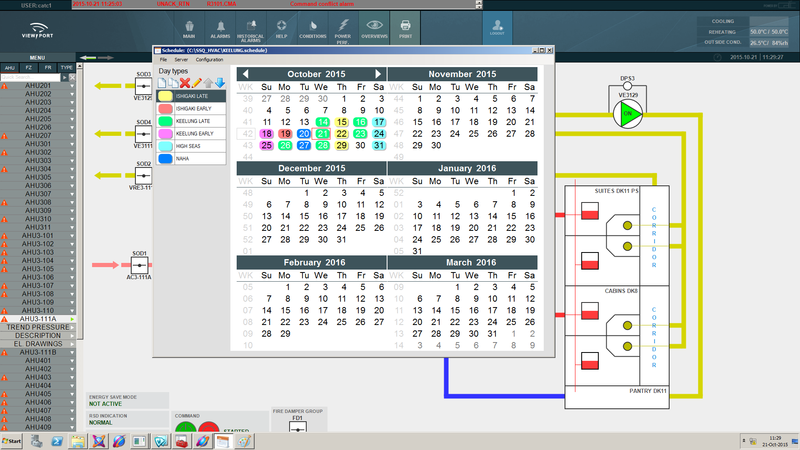 For ships with non-recurring schedules we have developed a calendar based scheduler that is used to plan the energy savings periods for weeks, months or even years ahead. 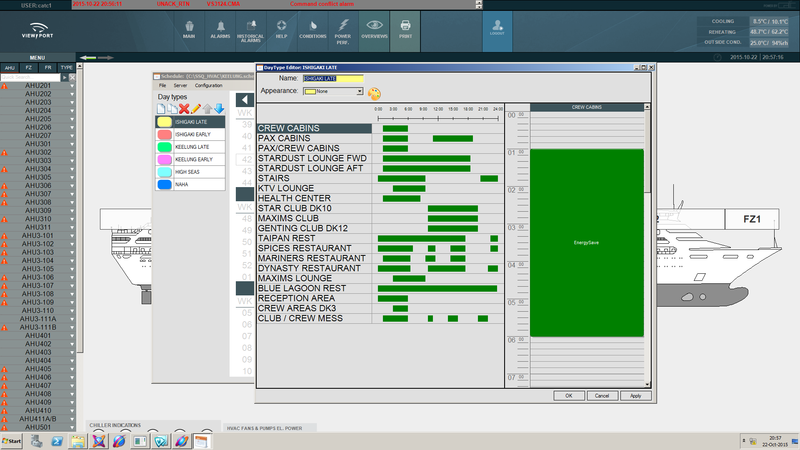 The software can import the ship’s ports of call, and use that data to fill the calendar, or the user can drag and drop the different days into the scheduler. 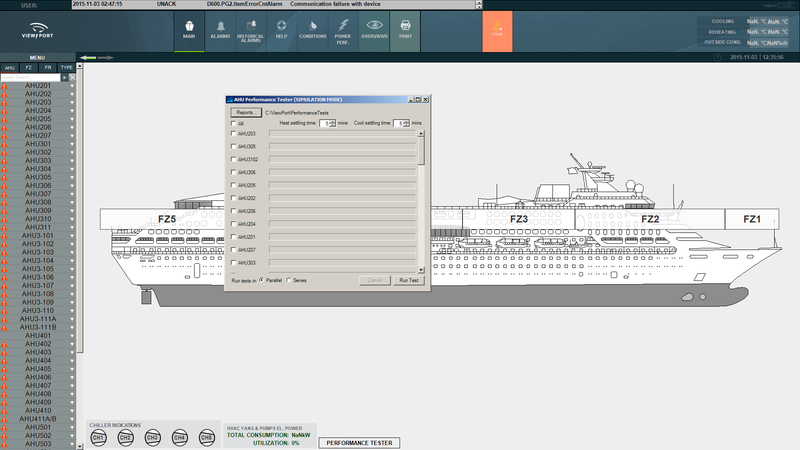 The client/server format allows for maintaining the time schedule on a separate computer, in the ships office perhaps, as long as it’s on the same networks as the server on the ViewPort station. 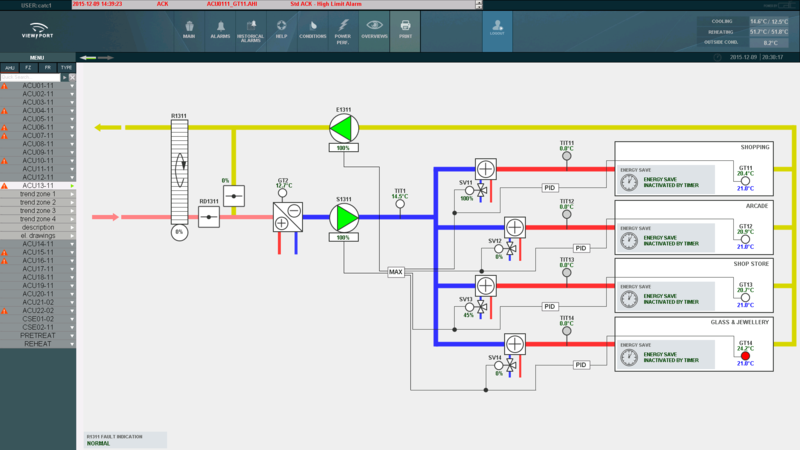 We have developed a component that can do automatic testing and reporting of all analog values in the entire plant. 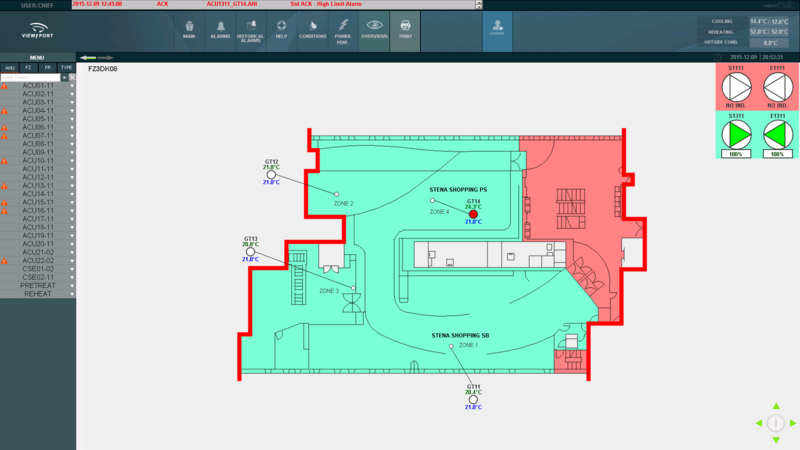 When started, the software runs each AHU to capacity in heating and cooling mode, and stores temperatures & pressures of both cases in a time stamped file. Using this log it’s possible to analyze the air condition plant capacities and status. The result file is provided in .pdf format with graphs and in pure .csv for Excel import. This powerful function can replace much of the periodic status checks that is today done manually onboard. 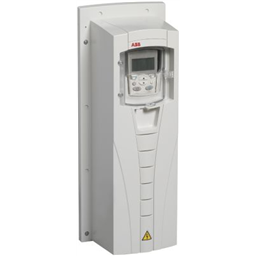 We have a stock of ABB AC31 series 50 PLC:s and IO cards, refurbished and fully tested. 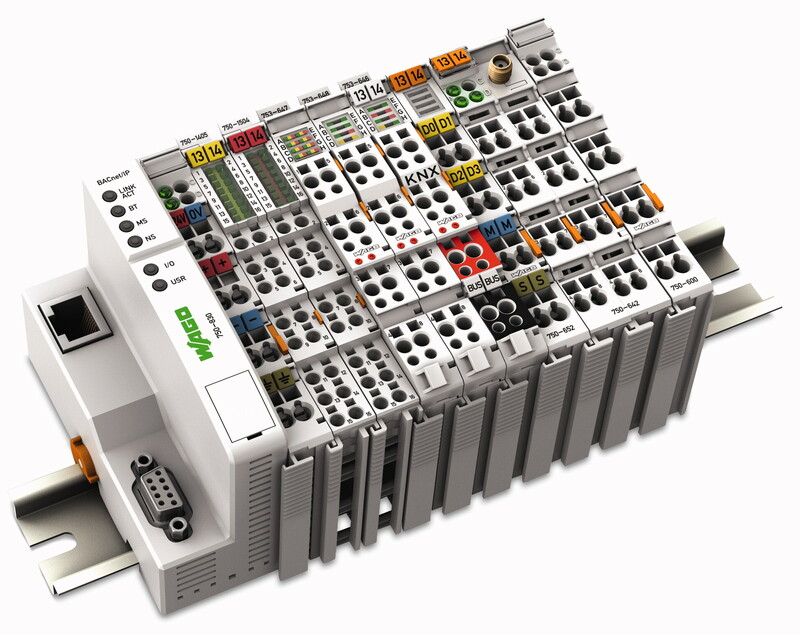 The refurbishment includes replacing of electrolytic caps, batteries and upgrade of firmware. 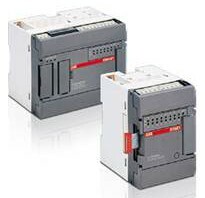 ABB AC31 PLCs and IO cards. We provide spares for marine electrical and automation. We provide spares for marine ventilation.